Nanking cherry (Prunus tomentosa): growing, planting, caring. 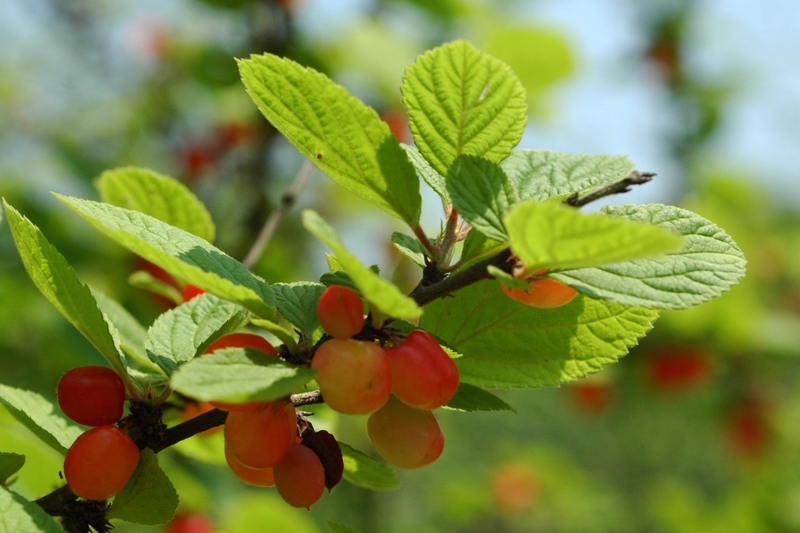 Nanking cherry is actually not a cherry but still well worth discovering! 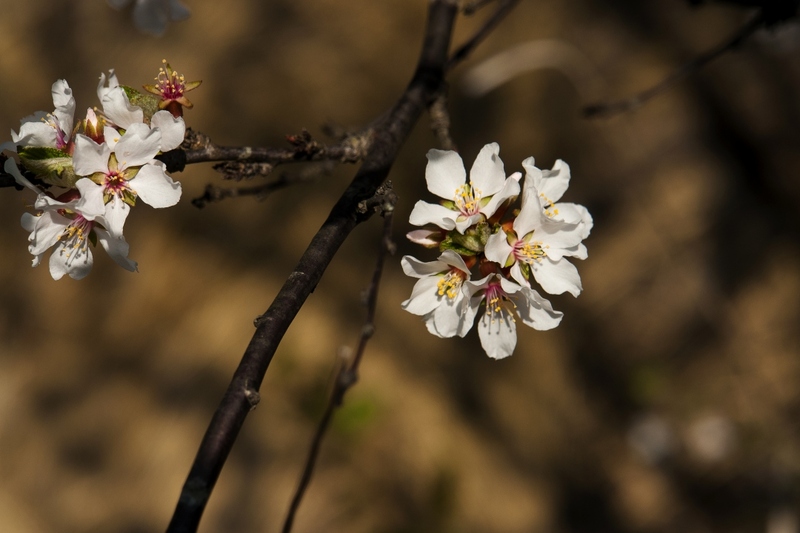 Prunus tomentosa - The Nanking cherry - is a species of Prunus native to northern and western China. It is a deciduous shrub growing 0.3–3 m (rarely 4 m) high, with glabrous and copper-tinted black bark, alternate, 2–7 cm long oval to obovate leaves with irregularly serrate margins, rugose, dark green, pubescent above and tomentose below, with glandular petioles. The flowers are white or pink in a scarlet calyx, opening with or before the leaves in spring. Though often called a "cherry" and superficially resembling them, Nanking cherry is closer related to plums than true cherries. It prefers full sun and grows naturally in a variety of soils. It is both drought and cold-resistant. The ragouminier is a shrub of modest size - less than two meters. Its leaves are deciduous, alternate, oval and downy with slightly serrated edges. In the spring, the flowering is very abundant with small white or pale pink fragrant flowers carrying 5 petals and united in umbels. Then, fruits grow from the wood, without petioles, from the beginning of the summer. These drupes are bright red, they are edible, without acidity and juicy! The Prunus tomentosa grows in full sun, in well-drained soil, neither limestone nor clay, rather sandy. You can keep it in a vat, on a terrace, given its small size, or isolated in the orchard, or even in mixed country hedgerow. Water just after planting with at least 50 liters of water that you pour into a hollow formed around the trunk. A support pole planted in the hole, inclined, facing the prevailing winds will be useful, provided you do not forget to remove it after 2 years, and use a suitable flexible attachment. The Prunus tomentosa does not really need pruning. Remove only dead branches and those that cross. 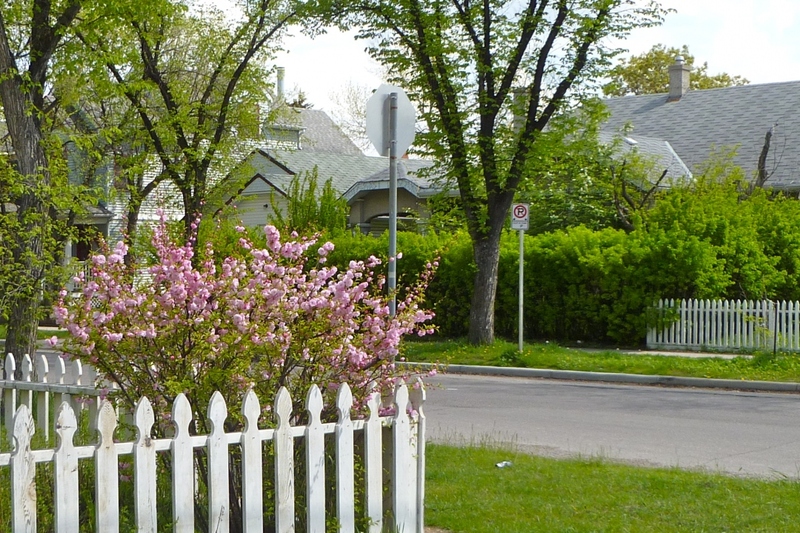 If you have staked your cherry tree, remove the stake delicately - it is no longer needed. The Prunus tomentosa is robust and does not fear much! However, birds love its fruits, and there is unfortunately no miracle method. Nets are effective but may trap the birds, while the various scarecrows - like old CDs that spin and emit reflections - will only disrupt them for a while. A good idea is to give water to the birds: indeed, if they eat your cherries, it is also and above all because they are thirsty! Save a water point, with water flush with the edges - a bucket is good, but it must be kept flush ... - or a floating wooden board ... It works, unless of course the water point is also accessible to the cat! Harvest when it comes cherry time ;-) When the peduncle - the little tail that holds the cherry - comes off with a pull. Warning: the branches are known to break easily, so beware.